June 1, 2016 - Should You File Early For Social Security? 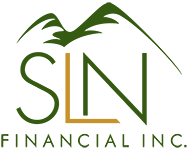 | SLN Financial, Inc.
Do you need the income as soon as possible? Many people are forced by financial circumstances to claim Social Security retirement benefits as soon as they qualify at age 62. However, if you claim early, you won’t receive the full retirement benefit you would have received if you had waited to claim until your Full Retirement Age (FRA). Instead, the Social Security Administration will permanently reduce your benefit based on the number of months before your FRA you file. Are you or your spouse likely to live past age 80? If you can afford to wait, delaying benefits until age 70 will allow you to accrue additional retirement credits, increasing your benefit up to 132% of the benefit you would claim at your FRA. Generally, if you or your spouse expects to live past the age of 80, it makes financial sense for the higher earner (or both) to delay claiming benefits until age 70 to maximize lifetime income. If health concerns or family history make it unlikely that either of you will live that long, it may make more sense to claim benefits sooner. A financial professional can help you explore your options and find the right strategy for your needs. Do you need to maximize survivor benefits? Widows and widowers are entitled to the larger of their own benefit or their deceased spouse’s benefit when they meet certain qualifications. If you are concerned about your spouse losing income after you die, it may make sense to delay claiming until age 70 to increase the amount of money your spouse would receive as your survivor. As financial professionals, we have helped many clients consider their Social Security and retirement options. We have access to professional-grade tools that allow us to test a variety of assumptions and scenarios to identify the best claiming strategy for your goals and circumstances. While online Social Security calculators can show you your income possibilities, we place Social Security in the context of your retirement, investment, and tax strategies to help maximize your overall income.